If you missed the first part of my post, be sure to check it out here. 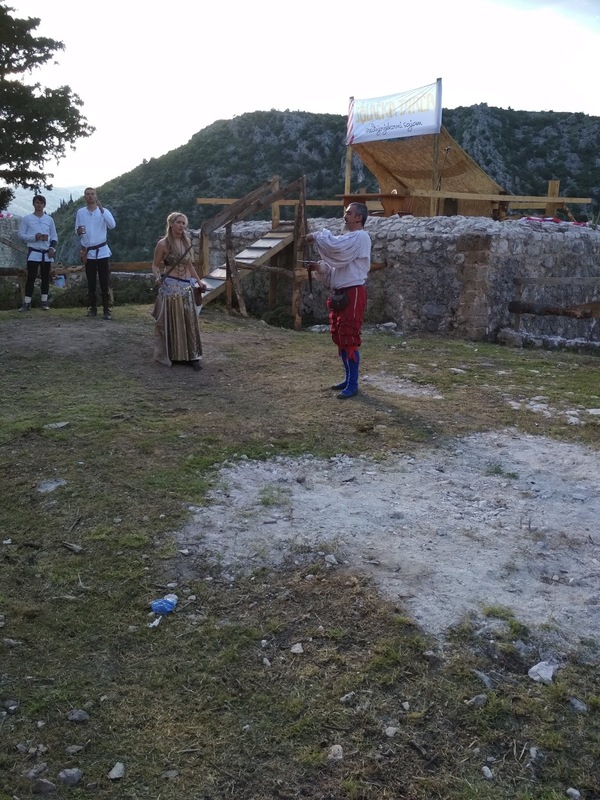 In the first part of this post, I spoke about the medieval fair that took place last weekend in Stolac. Today I'd like to take the opportunity to show you the fortress itself. 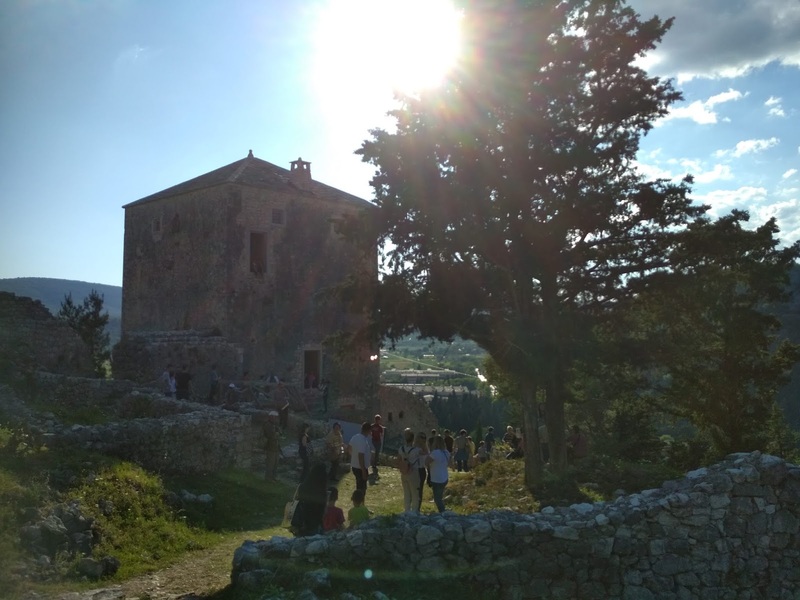 I already stressed that the views from this historical fortress are nothing short of amazing, but today I'll talk a bit about the history of this fortress. First things first, though. 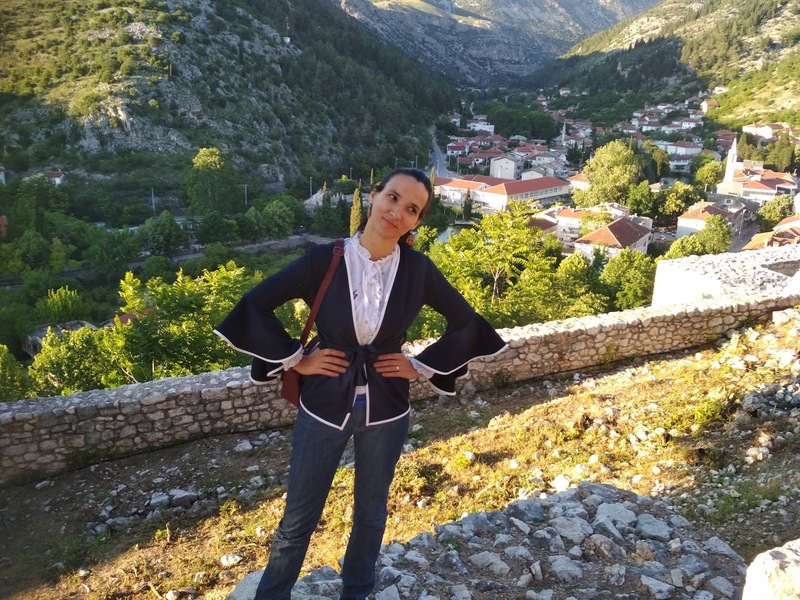 A few words about the Stolac city. Stolac is located at the far east of region Herzegovina and it is a part of a touristic route. 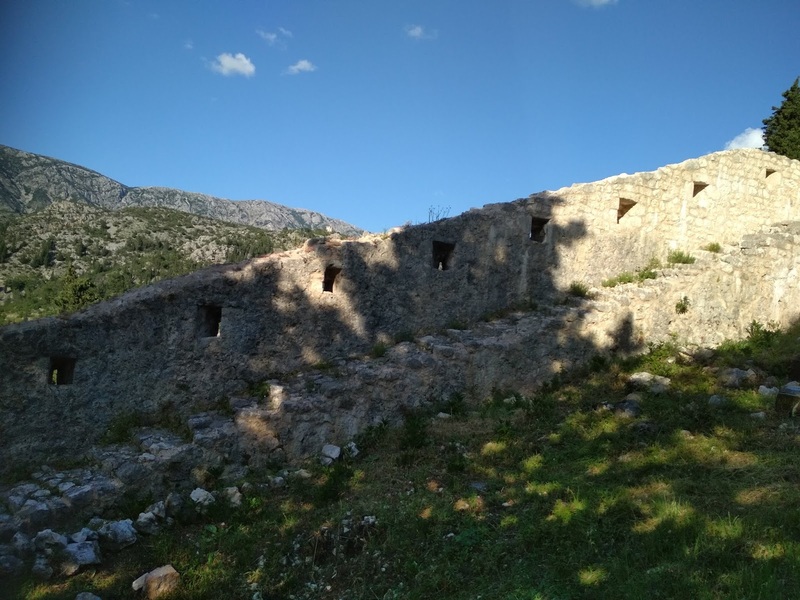 The area surrounding the present day Stolac city has been populated since prehistorical times, which only makes sense, given the natural beauty and the climate benefits of this location. 3, 500 year old material evidence of urban life were found here, so that says something of the kind of urban tradition this place can boast of. Through its rich history, many have called Stolac its home, from ancient Illyrian tribes to Romans and Slavs. 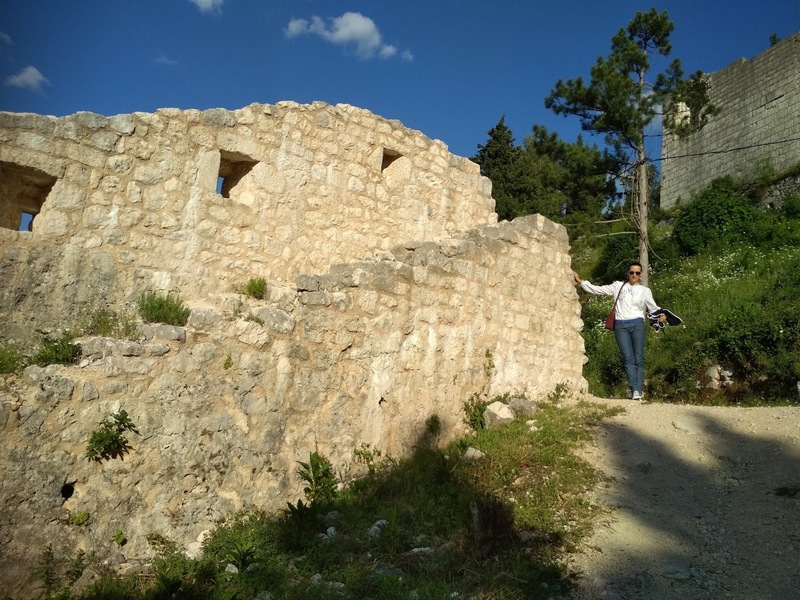 Stolac fortress has a very complex system of walls and towers, and according to the UNESCO site it is hard to precisely determine the exact stages of its construction. The original design of the fortress dates to prehistorical times, but the fortress grew with time. Many have worked on it through the long centuries, as different Western and Eastern kingdoms fought over the right to colonize and exploit this rich land. Ancient civilizations ( Illyrians and Romans), noble Slavic families, Ottoman and Austrian Hungarian Empire, all of them left a mark on this area, turning it into a unique historical site. Besides the rich history, this place can also boast of natural beauty. 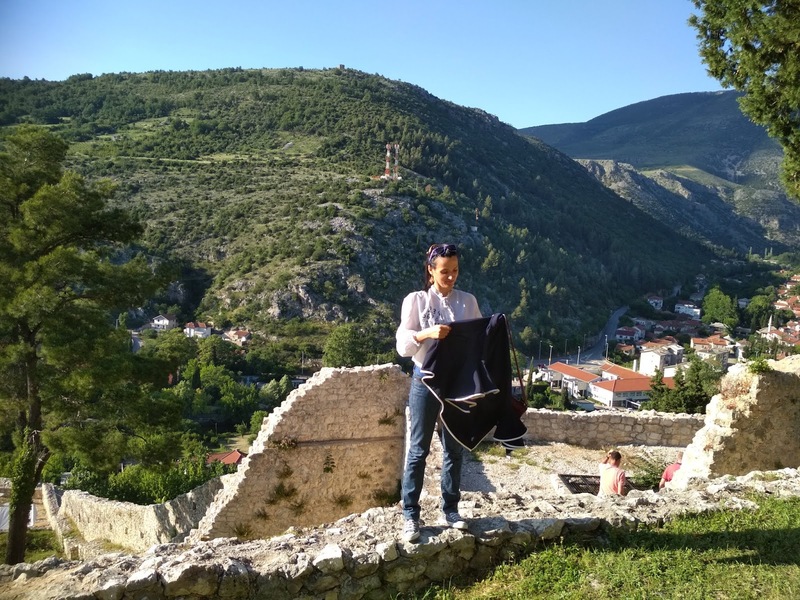 Stolac fortress is surely worth a visit. This last photograph was taken as we exited the fortress. You can estimate the height and the climb it took. As you see, it is not terribly high and the climb isn't difficult at all, but even if it was higher the view would be more than worth it. I heard that you can also drive to the top with a car, but not during the duration of the fair. 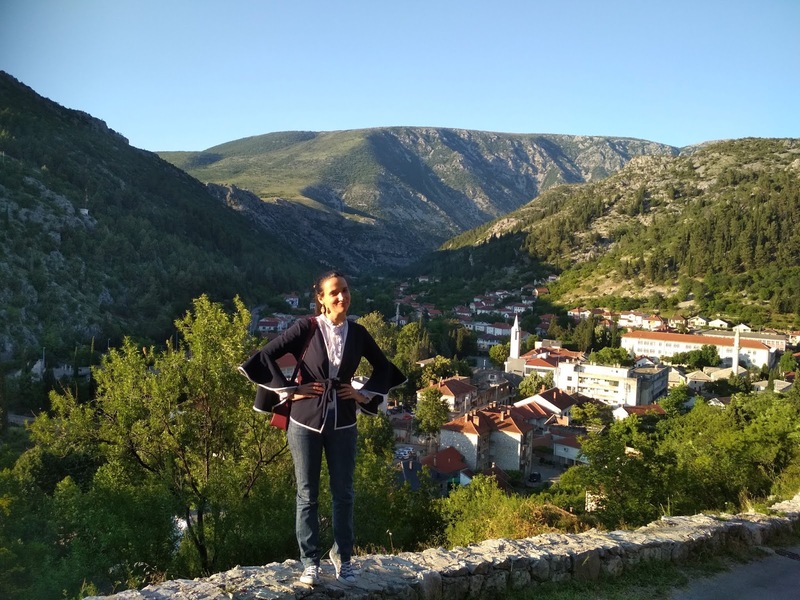 So, if you visit Stolac keep that in mind in case you don't care for hiking. I will consider doing just that, in case I visit Stolac again before the next fair. 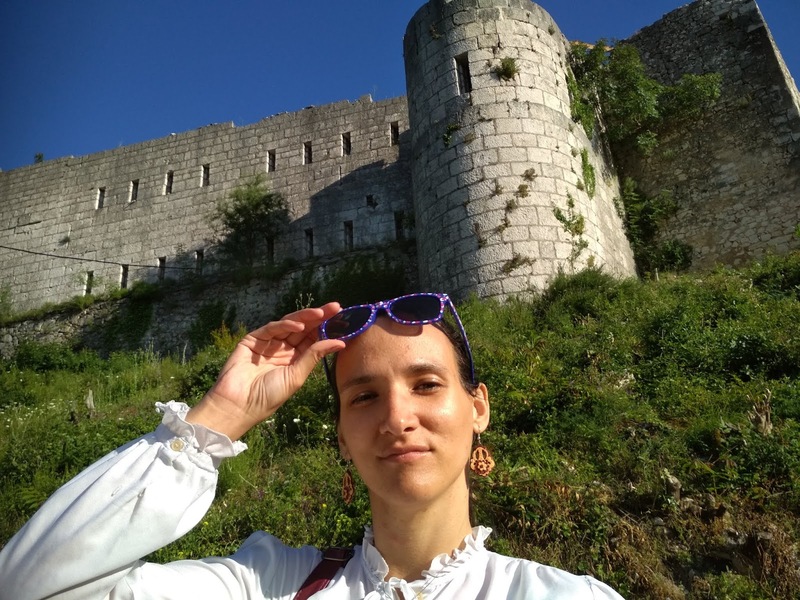 As Stolac fortress is truly the perfect place to hold this medieval fair, I do plan to return here next year, both to attend the fair and see the fortress again. Thank you for reading and have a nice day! Bellissima la fortezza ma soprattutto il panorama! *_* Da favola! Tu sei deliziosa, Ivana, adoro la tua giacca e la blusa, entrambe sono particolari e chic! Ivana! 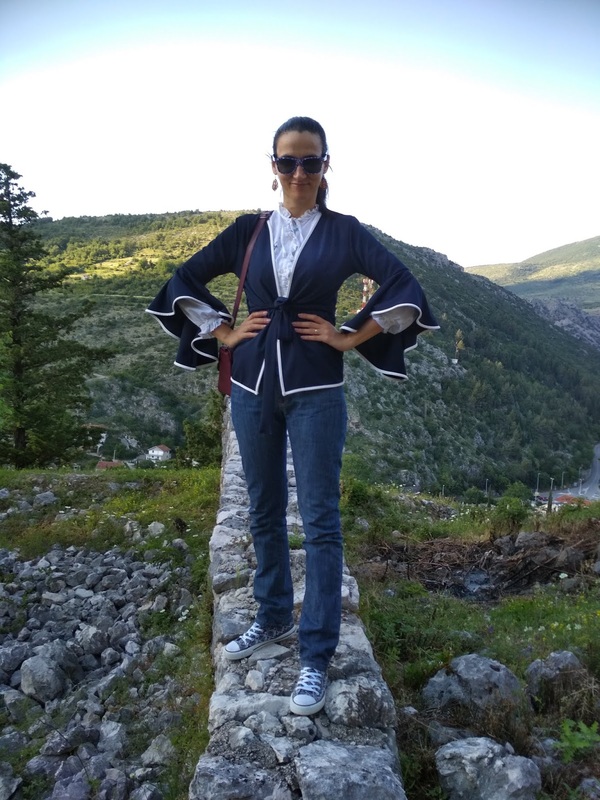 Your outfit for the occasion was absolutely perfect - the ruffled white blouse layered underenath the navy blue jacket is so chic. Those statement sleeves too, wow! I love the sound of a medieval fair and is definitely something I would have checked out too should I have been in the area at the time :) Hope you're having a lovely week so far!! 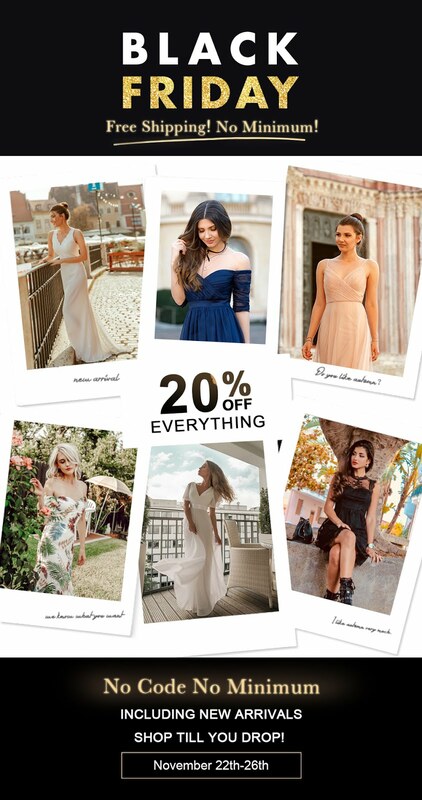 amazing pics, you look beautiful! the blazer is really nice :) kisses! 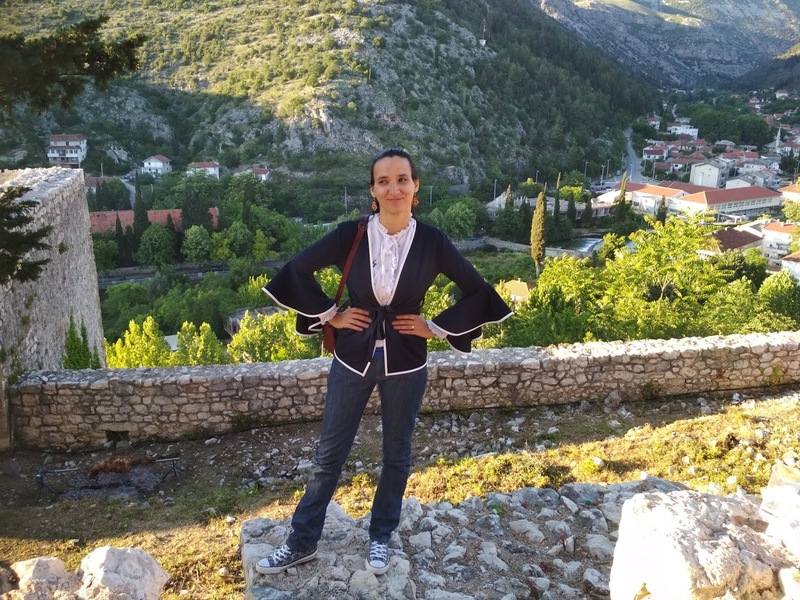 Thanks for this tour of Stolac fortress. It's history, architecture and surrounding views are surely magnificent. The place looks stunning! love your photos. Veličanstvene fotografije i ti veoma lepa i šik. 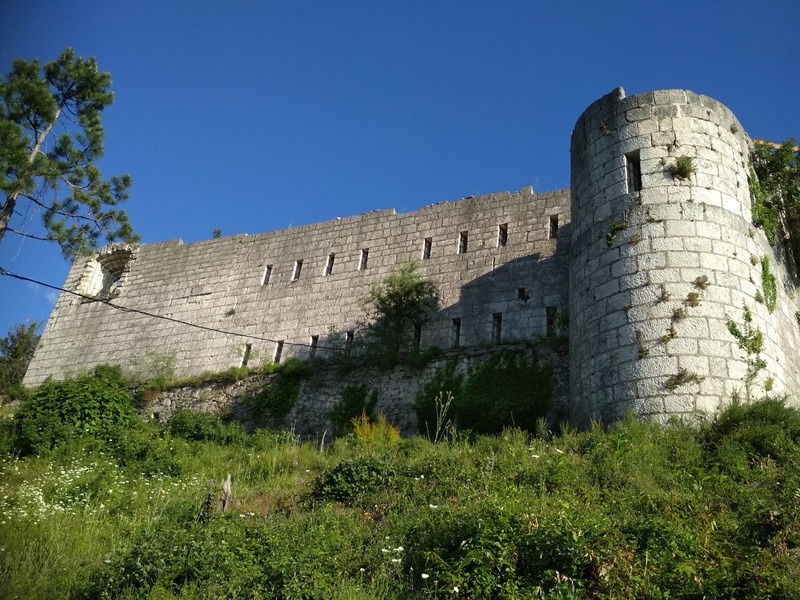 The design of the Stolac fortress is very interesting. It clearly took an immense amount of work to build. The stones that some parts of it were built with look massive. The view of the valley and village from where you were standing in the photos above is lovely., and the ruffled blouse and white-trimmed blazer you were wearing look very pretty. nice post. this village looks so great. also i like your outfit for that beautiful day! nice one.